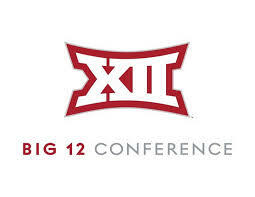 It’s RandHSports.com’s Week 7 Big 12 Conference review, and the undefeated teams in action on Saturday just kept on rolling. Oklahoma got off the mat after its loss to Texas and Kansas gave Texas Tech a game in Lawrence. So, let’s check it out. Rankings are national rankings entering the game. I covered this game in person and I came away impressed with Baylor (6-0, 3-0 in Big 12) overall. I was up early Sunday and caught a replay of College Football Final with Joey Galloway talking about the fact that Baylor’s and TCU’s defenses have to get better if it wants to contend in the College Football Playoff. There’s a point to be taken there, but the Bears’ defense is good at forcing turnovers — they’ve forced at least one in 22 straight games — and they showed me a couple of additional things against the Mountaineers.